Pendant measures approximately 1-1/2" long and 7/8" at widest point. 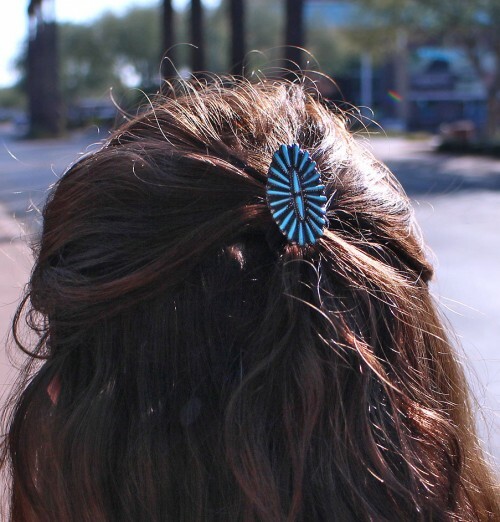 This adorable hair band is ideal for making a fashion statement with little effort. This hair tie is hand crafted out of genuine sterling silver and real Turquoise stones. A total of TWENTY TWO needlepoint stones are delicately placed in hand cut bezel settings, while being accented with twisted silver and mini silver beads for a fabulous finish. 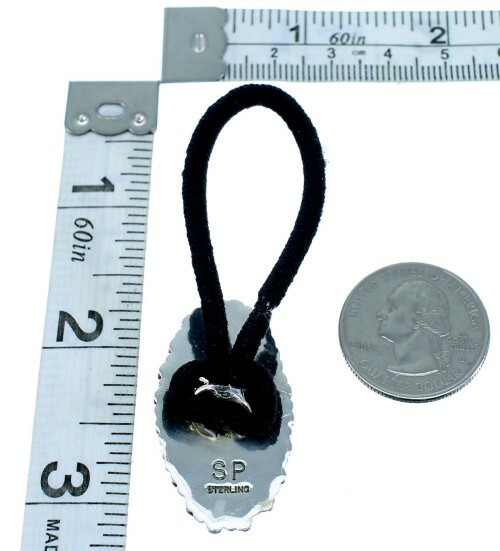 Black elastic hair band is included and is removable. The pendant is stamped Sterling and is hallmarked.